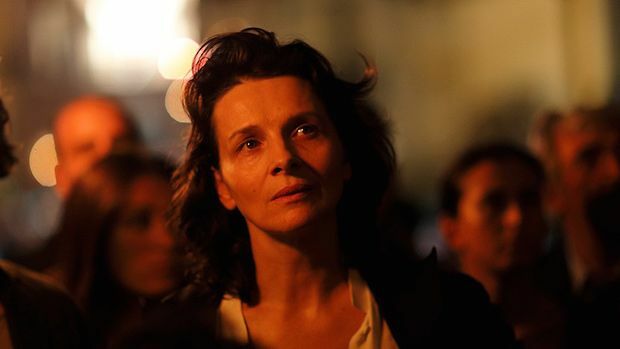 Winner of a trio of prizes at Venice 2015, The Wait (L’Attesa) takes two divine French actresses, Juliette Binoche and up-and-comer Lou de Laâge, and transports them to a dilapidated Sicilian villa to tiptoe around each other in the aftermath of a tragedy that’s shown to be literally unspeakable. Debut helmer Piero Messina directs and co-writes a moving, sometimes magnificent drama, based on Luigi Pirandello’s play. Binoche’s work in Three Colours: Blue is one of cinema’s great portrayals of grief; as lonely divorcee Anna Remigi, she’s mourning again here – and no less beguilingly – for a son, Giuseppe, whom she buries at the outset. When his oblivious girlfriend Jeanne (de Laâge) calls, curious as to Giuseppe’s whereabouts, Anna invites her to stay. Strangely, Anna opts to withhold the devastating news and, thus, in some sad way she keeps her darling boy alive. The deception is witnessed by her powerless manservant Pietro (Giorgio Colangeli), his silent judgement practically boring a hole in the film as disapproval and concern mingle with personal feelings of grief. With Jeanne becoming increasingly agitated by Giuseppe’s unexplained absence, she leaves a series of voicemail messages on his mobile, which Anna intercepts. The growing tenderness between a mother and the daughter-in-law-that-will-never-be is beautiful to behold and de Laâge should be congratulated for standing firm alongside ‘La Binoche’, as Kristen Stewart did so memorably in Olivier Assayas’s Clouds of Sils Maria. That it soars on its compelling, occasionally charged scenes between the first lady of French cinema and a gifted starlet gives it a similar feel, but whereas Assayas’s film overflowed with ideas The Wait strips things right back. The religious symbolism is a touch on the nose, yet Francesco Di Giacomo’s photography remains a thing of frequent wonder. He vividly captures the women’s anguish amidst the contrastingly idyllic surroundings, delivering pure cinematic expression. The result is a film whose narrative minimalism may frustrate, but whose core performances and visual majesty convey all that’s left unsaid. Limited release from Fri 8 Jul.